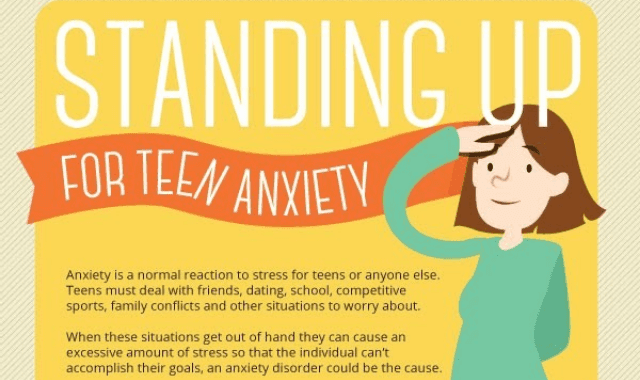 Standing Up For Teen Anxiety #Infographic ~ Visualistan '+g+"
Anxiety is a normal reaction to stress for teens or anyone else. Teens must deal with friends, dating, school, competitive sports, family conflicts and other situations to worry about. When these situations get out of hand they can cause an excessive amount of stress so that the individual can't accomplish their goals, an anxiety disorder could be the cause.